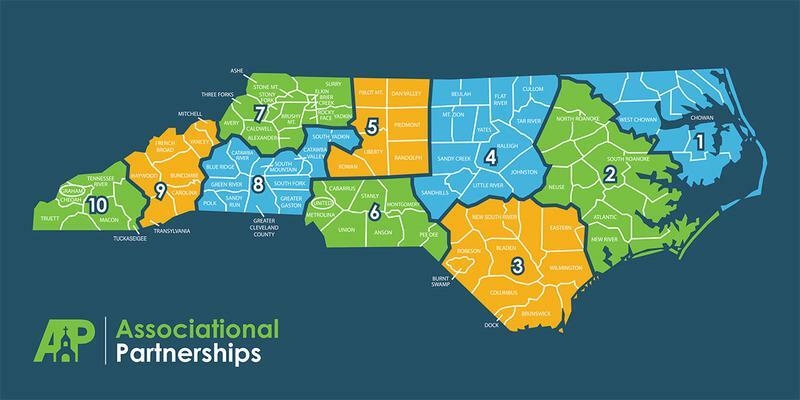 The NC Baptist Disaster Relief is divided in 10 regions. Training is alternated every year between odd and even regions. Following are the dates and regional locations for the 2019 Disaster Relief Training season. You can attend as many regional training events as you desire. To register for a training course Click on the picture to the right and select the region where training will be. Then click on the button Details/Register. After logging in to your account -choose the approriate training event. Note : a background check will be done before you are approve. Be sure to check your email. Admin volunteers manage the paperwork for the operation including volunteer check-in, finance, and daily reporting. Admin volunteers should have organizational skills, be computer literate, and be able to handle many tasks at once. Must be able to work in an office-like environment for long periods. Chaplaincy volunteers meet the spiritual and emotional needs of disaster survivors. Participants should be able to relate well with people in crisis situations, be a good listener, be able to communicate well verbally, and be able to read and comprehend chaplaincy materials. Compassion is important but also should learn skills to care for the needy. Communications/Technology members must possess an Amateur Radio License OR have meaningful IT experience. The Communication team provides equipment and support to the disaster operation and leadership. Technical skills are a must. Childcare participants team members provide a temporary environment for children post- disaster in order to allow parents time to recover from a disaster. Must be willing to learn and follow NCBM methods for childcare. Feeding - learn best practices for cooking large quantities of food using NCBM equipment. Must be able to work in hot/cold environments for long periods. Standing, lifting, twisting are basic physical motions that you must be comfortable with. Logistics volunteers acquires resources for the operation. Volunteers must be resourceful, energetic, and able to manage many demands at one time. The work is typically outdoors and requires long hours and many challenges. Participants must have experience in maintenance and be able to work long hours in less than ideal conditions. Must be mechanically savvy and resourceful. Medical Reserve Corps - domestic and international response. Must have a current NC medical license with no disciplinary action. Must be able to work long hours in adverse conditions. Recovery (also known as Clean-up): Help homeowner's clean-up personal dwellings which may include: gutting home, removing mud and personal belongings, chainsaw work, and temporary repair. Age: 15+, (15-17 w/parent). Skills needed: be in good physical shape, able to work in adverse conditions including hot and cold weather. Shower/Laundry: Covers setup, maintenance, and use of shower/laundry units. Skills needed: be able to sort, load, wash, and fold clothes for other people. Must be in good physical shape to work in hot and cold conditions.